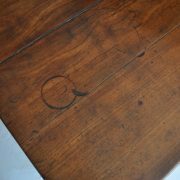 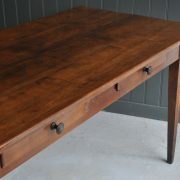 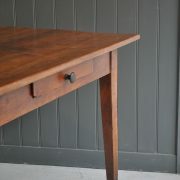 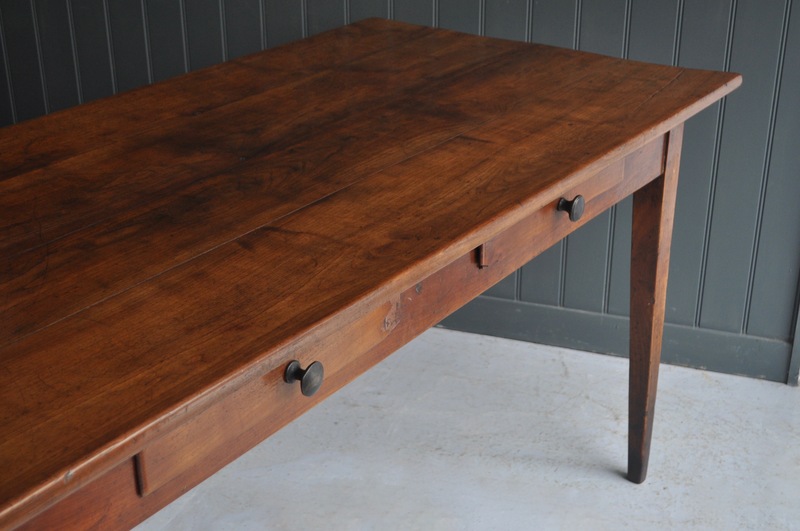 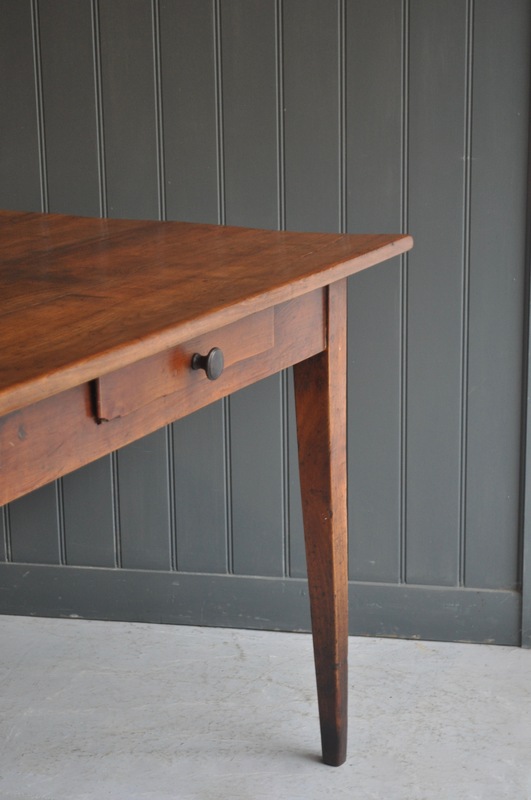 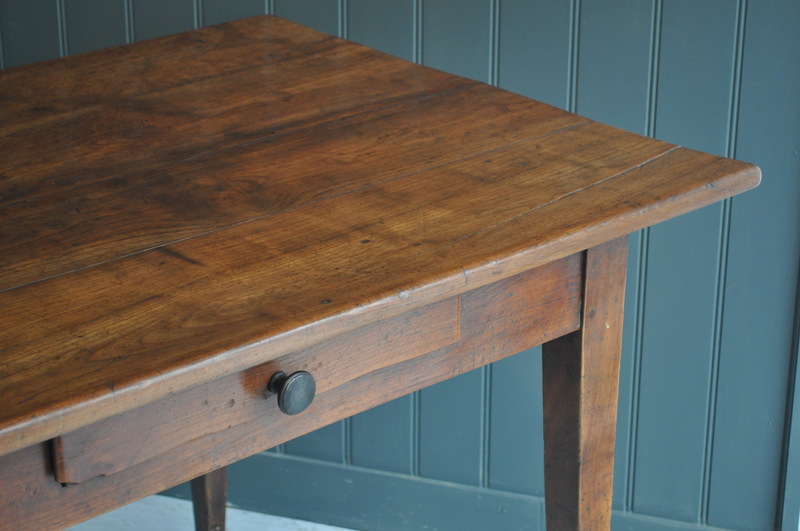 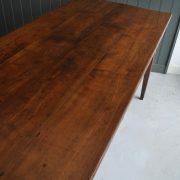 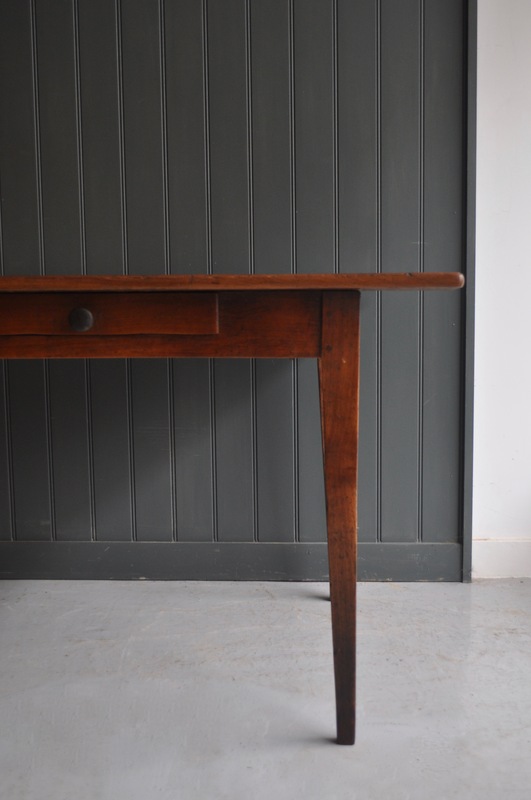 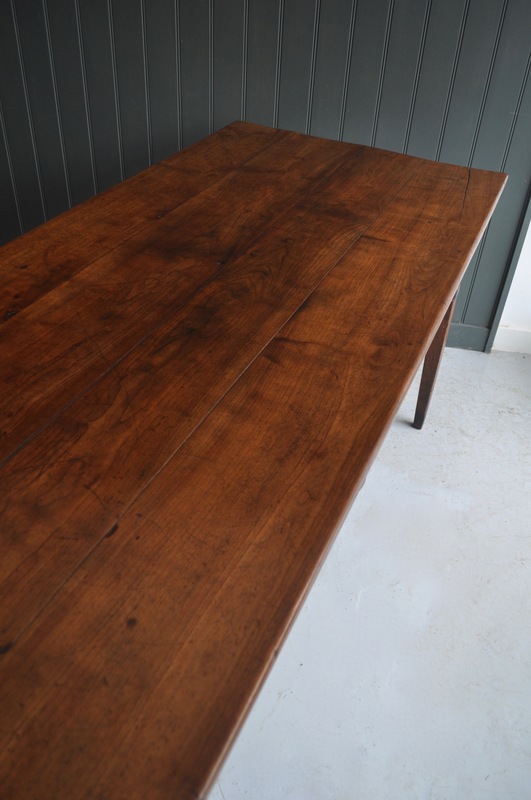 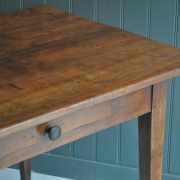 Beautiful French cherry table with square tapering legs, pegged tenons, and two drawers to the long side. 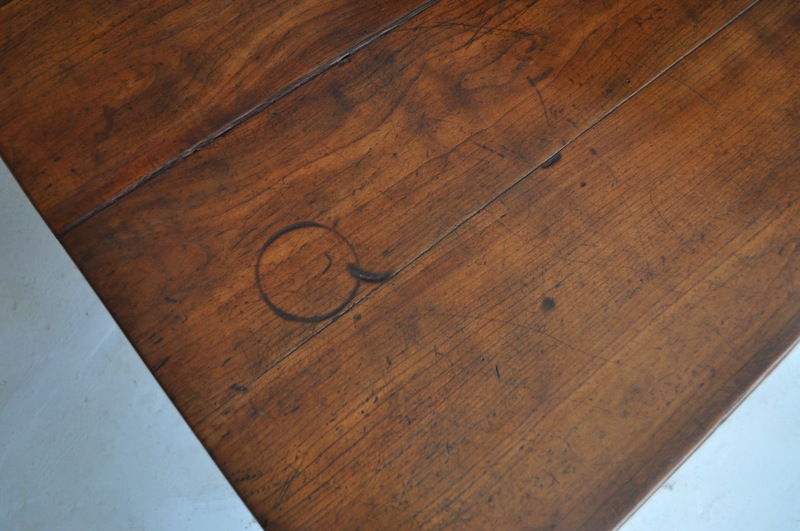 Lovely colour and patination, with lots of old marks consistent with age. A good size – big enough for six to eight people, and the legs have been tipped so no problem getting legs under.